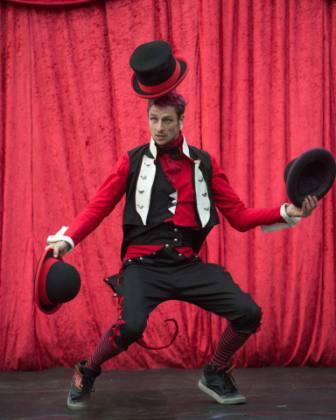 Nat Lunatricks is an amusing and playful entertainer, a juggler of balls, clubs, knives, fire and especially Hats! 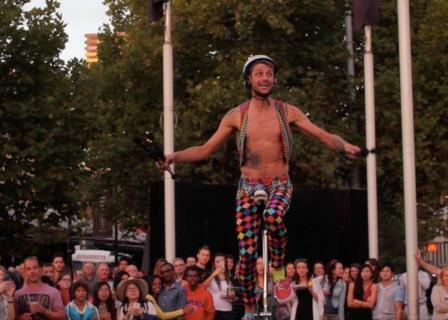 Nat can ride unicycles of varying heights, he performs astounding magic, from close up, stage and cabaret styles, to fakhir or pain magic, he twists balloons, walks on stilts, and can compere a stage. 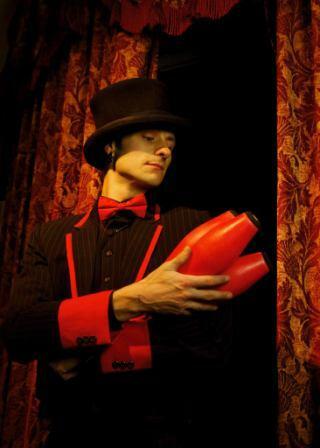 An experienced international and award winning performer, Lunatricks has captivating shows for 'your' next event. 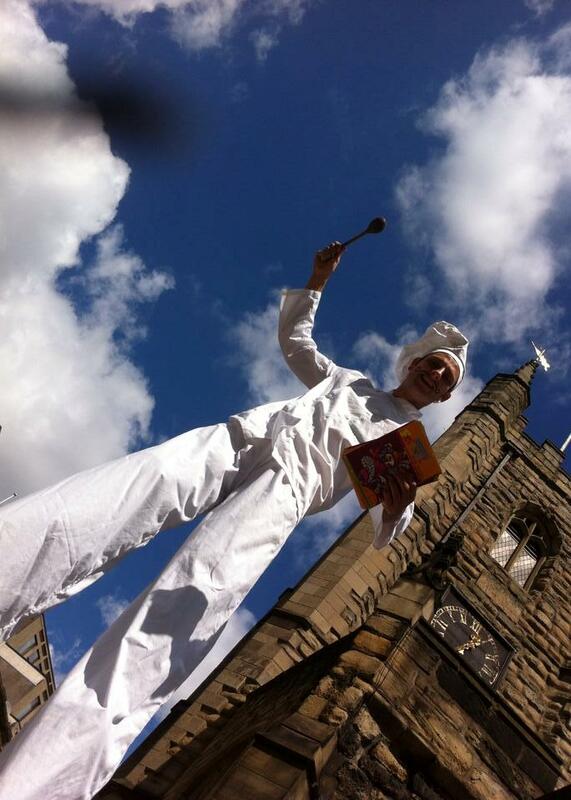 Nat has performed all over the UK at Festivals, Galas, Family Fun Days, Corporate Events, Private Parties, Weddings, just about any sized and any type of event both indoor and outdoor. Nat balances, walks and performs tricks all balanced upon a slim piece of rope. Can be done as a daytime show with circus skills and jokes or a night time show. Either with more danger by the addition of extra fire or a contemporary show with computer controlled light up effect and a haunting classical soundtrack. Perfect for large stages, festivals, street events, or simply to add something unique. A 45 minute show with juggling, comedy, audience participation and silliness culminating in a death defying stunt perched upon a 7ft unicycle, juggling fire and one lucky audience member gets to set Nat's head on fire. Perfect for street events & large stages. Old school Vaudevillian tricks presented with a modern vibe. Perfect for classy events, smaller stages, weddings, Victorian / Steampunk / Edwardian themed events. 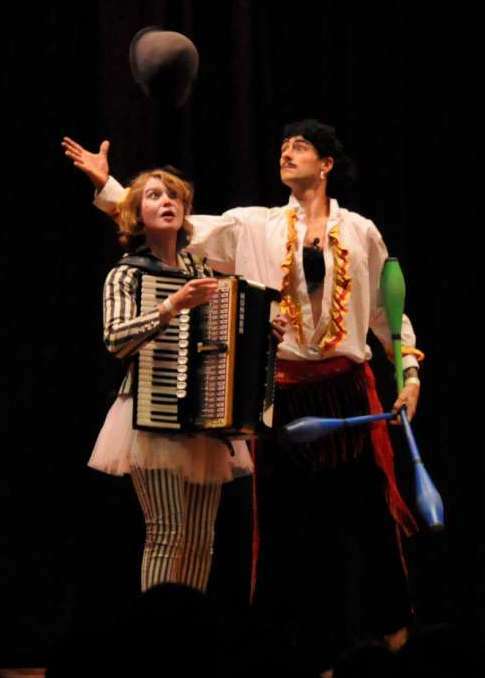 Pompous Argentinian Juggler, Alfonso El Egotistico Alicante, struggles through his routine while being berated and belittled by his musical accompanist, Squeezy the Clown! Perfect for family events & medium to large stages. Using clubs, baseball cap and some unique triangles Nat brings juggling bang up to date with some extremely weird and wonderful tricks dressed in an eye-startling costume somewhere between traditional circus and a Japanese hip hop cartoon. 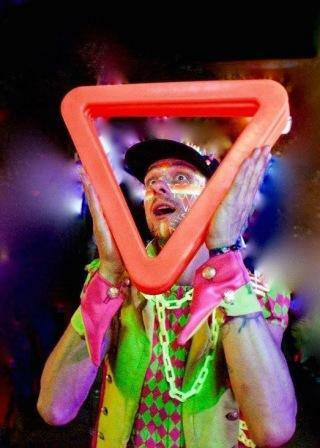 Perfect for medium to large stages, Art events, Parties, Festivals & basically any place with UV lights. Jaques-Cluade, irreverent and silly French Chef, brings his ridiculous cooking show to teach the Roast beefs how to really whip up some grub. Expect mess, jokes, mess, visual gags, mess, juggling and balance skills, an outrageous accent, a horrible soup and a surprise magical ending. Perfect for food events & family days! Silly, messy and slightly educational. They talk about ballistics, rockets, parabolas, DIY fun and of course MESS! A wonderfully madcap show incorporating science, robots, rockets, explosions, futuristic custard pie throwing technology and a lot of laughter. 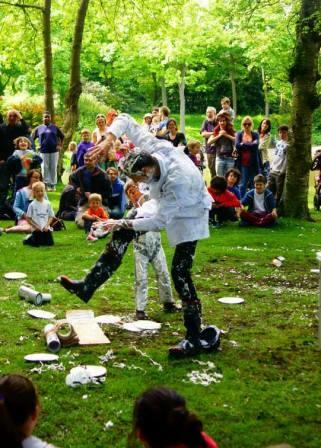 Surprises, slapstick and science combine to perform a hilarious trinity or icky untidiness. 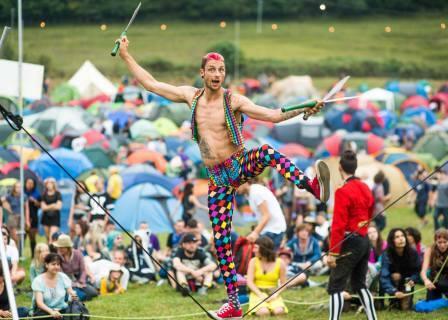 Using staff, poi, juggling swords and a highly unusual chain staff. 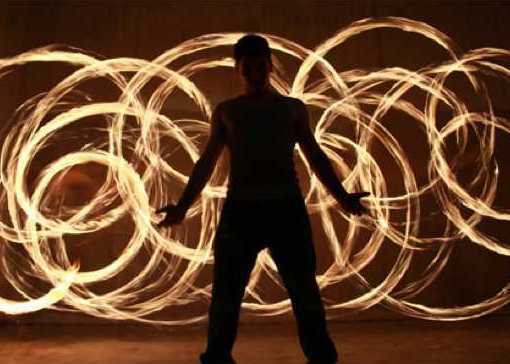 Nat can perform solo fire shows or draw in more performers for a larger spectacle!